Nilotinib (pronounced ‘nil-ot-in-ib’ and also known by its brand name Tasigna) is a small-molecule BCR-ABL kinase inhibitor, that has been approved for the treatment of imatinib-resistant chronic myelogenous leukemia (CML). In certain types of leukemia, a specific genetic abnormality occurs in chromosome 22. This is called the Philadelphia chromosome and it results from part of chromosome 9 and 22 actually swapping places. 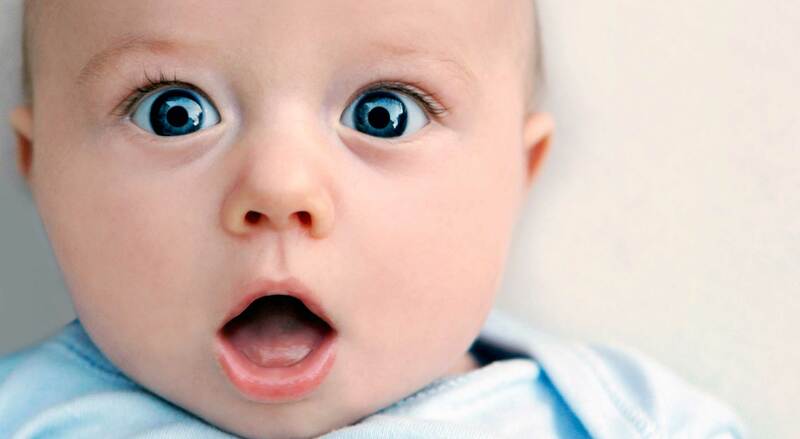 In other words, two large chunks of DNA are switched, shifting from one location on your DNA to another. The result of this mix up is what we call a ‘fusion gene’ on chromosome 22, which is created by shifting of the ABL1 gene from chromosome 9 (region q34) to a part of the BCR gene on chromosome 22 (region q11). This leads to a weird fusion protein called BCR-ABL. Curiously, this this protein is still able to work, and it undertakes various functions. But the problem with this fusion protein is it is always turned on. It is always active. And this constant activity helps to drive cancer cell growth in blood cells. Initially, a cancer ‘wonder drug’ called Imatinib (also known as Gleevec – maybe you’ve heard of it) was developed to block the BCR-ABL fusion protein from binding to other proteins that help to encourage the cancer growth. It competitively binds to a small region of the BCR-ABL fusion protein, not allowing (or blocking) it to fulfil its hyperactive function. Gleevec was a fantastic example precision drug design. Basically, Nilotinib is very similar to Gleevec – in shape and function – and it is used for people who fail to respond to Gleevec. 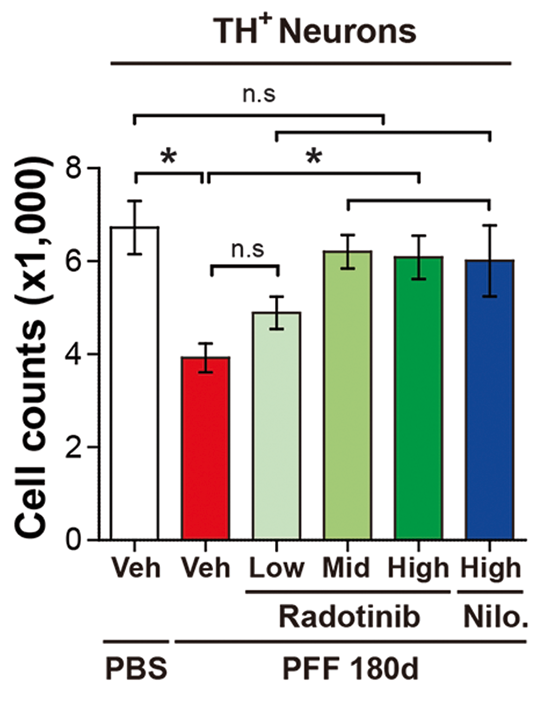 Nilotinib is 10-30 times more potent than Gleevec at inhibiting BCR-ABL activity. Think of Nilotinib as the new and improved version of Gleevec. What on earth does this have to do with Parkinson’s? Well, while Nilotinib and Gleevec were originally designed to target the BCR-ABL fusion protein, both drugs can also be used to block the ABL protein by itself. It has been suggested that the activation of the ABL1 gene may be playing a role in neurodegenerative conditions, such as Alzheimer’s disease (Click here for the Alzheimer’s related research and click here for an early review on this topic). This idea is also supported in Parkinson’s, because in 2010 by a group of researchers publishing a paper demonstrating that there is increased levels of ABL in the Parkinsonian brain, and by blocking the ABL protein, Gleevec could effectively protect models of Parkinson’s. In this study, the researchers reported that cellular ABL (or c-Abl) binds to and interacts with the Parkinson’s associated protein PARKIN. But this interaction is not good: ABL basically stops PARKIN from having doing its job – that is, grabbing old proteins and other rubbish for disposal/recycling in a process called autophagy. Autophagy is a process that clears waste and old proteins from inside cells, preventing them from accumulating and possibly causing the death of the cell. Waste material inside a cell is collected in membranes that form sacs (called vesicles). These vesicles then bind to another sac (called a lysosome) which contains enzymes that will breakdown and degrade the waste material. When PARKIN is inhibited, normal autophagy does not take place and old proteins and faulty mitochondria start to pile up, making the cell sick (ultimately leading to the death of the cell). The researchers found that cells treated with a neurotoxin (MPTP) had high levels of activated ABL protein, and by blocking this ABL protein they could reduce the effect of the neurotoxin (in a fashion that was dependent on PARKIN being present). They also showed that genetically engineered mice with no ABL gene were more resistant to the neurotoxin than normal mice. Importantly, they provided data indicating that the inactivated form of PARKIN and the activated version of ABL are higher in the brains of people with Parkinson’s than normal controls. Naturally the investigators concluded that “inhibition of c-abl may be a neuroprotective approach in the treatment of Parkinson’s disease”. And critically many of these findings were replicated independently by another research group shortly after this first report was published (Click here to read that second research report). The Gleevec results were also followed up a couple of years later by a research team at Georgetown University, but this time using the new and improved version of Gleevec, Nilotinib. And this study demonstrated another cute trick of ABL-inhibiting drugs: PARKIN is not the only Parkinson’s associated protein being affected. Title: Nilotinib reverses loss of dopamine neurons and improves motor behavior via autophagic degradation of α-synuclein in Parkinson’s disease models. Authors: Hebron ML, Lonskaya I, Moussa CE. Journal: Hum Mol Genet. 2013 Aug 15;22(16):3315-28. In this study, the investigators demonstrated that levels of activated ABL protein increase with accumulation of the Parkinson’s associated protein Alpha Synuclein – accumulation of which is a characteristic feature of the Parkinsonian brain. By giving Nilotinib to mice that had been genetically engineered to produce high levels of alpha synuclein, the researchers found that they could reduce the negative effects of the accumulating protein. They also demonstrated that the positive effect of Nilotinib treatment was produced (in part) by the activation of the garbage disposal system (autophagy) and removal of the accumulating alpha synuclein. In another experiment in that same report, when they modelled the accumulation of alpha synuclein in dopamine neurons, the researchers found that Nilotinib treatment could protect the dopamine cells from dying and corrected dopamine levels back to normal. And this research group also demonstrated elevated levels of ABL protein in the Parkinsonian brain when compared to normal controls. They concluded that the “data suggest that Nilotinib may be a therapeutic strategy to degrade alpha synuclein in Parkinson’s disease and other alpha synucleinopathies”. Title: c-Abl phosphorylates α-synuclein and regulates its degradation: implication for α-synuclein clearance and contribution to the pathogenesis of Parkinson’s disease. Authors: Mahul-Mellier AL, Fauvet B, Gysbers A, Dikiy I, Oueslati A, Georgeon S, Lamontanara AJ, Bisquertt A, Eliezer D, Masliah E, Halliday G, Hantschel O, Lashuel HA. Journal: Hum Mol Genet. 2014 Jun 1;23(11):2858-79. These Swiss researchers also reported raised levels of ABL protein in the brains of people with Parkinson’s, AND their results supported the findings that Nilotinib encourages degradation of alpha synuclein protein. Interestingly, they also found that Nilotinib reduced levels of ABL protein itself (via the autophagy pathway). In this study, the researchers found that Nilotinib treatment protected dopamine neurons in a model of Parkinson’s and restored normal dopamine levels in the brain. They also found that administration of Nilotinib reduces ABL activation and the levels of the PARKIN interacting protein PARIS (PARkin Interacting Substrate). High levels of PARIS in normal mice can result in the loss of dopamine cells, and this effect can be rescued by increased production of PARKIN protein (We have discussed PARIS in a previous post – click here to read that post). Interestingly, these researchers suggested that Nilotinib was having this effect in a way that was independent of PARKIN, as Nilotinib treatment had no effect on PARKIN levels in their hands. All of these studies provided a strong rationale for testing brain permeable ABL inhibitors as potential therapeutic agents for the treatment of Parkinson’s (For those seeking more information about the research of Nilotinib and other ABL inhibitors in Parkinson’s models – click here for a good review). And Nilotinib was tested in people with Parkinson’s? The Georgetown researchers who conducted the original Nilotinib in PD studies – led by Dr Charbel Moussa and Dr Fernando Pagan – undertook the clinical study. Authors: Pagan F, Hebron M, Valadez E, Tores-Yaghi Y,Huang X, Mills R, Wilmarth B, Howard H, Dunn C, Carlson A, Lawler A, Rogers S, Falconer R, Ahn J, Li Z, & Moussa C.
PMID: Yet to be allocated (This article is OPEN ACCESS if you would like to read it). Twelve people with either Parkinson’s dementia or dementia with Lewy bodies were randomised given either 150 mg (n = 5) or 300 mg (n = 7) daily doses of Nilotinib for 24 weeks. After the treatment period the subjects were followed up for 12 weeks. All of the subjects were considered to have mid to late stage Parkinson’s features (Hoehn and Yahr stage 3–5). One subject was withdrawn from the study at week 4 due to a heart attack and another discontinued at 5 months due to unrelated circumstances. An important question in the study was whether Nilotinib could actually enter the brain. Various tests conducted on the subjects suggesting that the drug had no problem crossing the ‘blood brain barrier‘ and having an effect in the brain. The levels of Nilotinib in the brain peaked at 2 hrs after taking the drug and the levels of ABL protein were reduced by 30% at 1 hr. This level of activity remained stable for several hours. The motor features of Parkinson’s were assessed using the Unified Parkinson’s Disease Rating Scale (UPDRS) and the investigators observed an average decrease of 3.4 points and 3.6 points at six months (week 24) compared to the baseline measures (scores from the start of the study) with 150 mg and 300 mg Nilotinib, respectively. A decrease in motor scores represent an improvement in Parkinson’s motor problems. The researchers concluded that these observations warrant a larger randomised, double-blind, placebo-controlled trial to truly evaluate the safety and efficacy of Nilotinib. This all sounds great. What happened next? There were disputes over how the follow up studies should be structured and designed. The Georgetown University team have a lot of leverage in the situation as they control the patent side of things (Click here to see the patent). And they were the first of the two parties to initiate a phase II trial back in February of this year (Click here to read more on this). In the first part of the study, one third of the participants are receiving a low dose (150mg) of Nilotinib, another third receiving a higher dose (300mg) of Nilotinib and the final third are receiving a placebo drug (a drug that has no bioactive effect to act as a control against the other two groups). The outcomes will be assessed clinically at six and 12 months by investigators who are blind to the treatment of each subject. These results will be compared to clinical assessments made at the start of the trial. In the second part of the study, there will be a one-year open-label extension trial, in which all participants will be randomised given either the low dose (150mg) or high dose (300mg) of Nilotinib. This extension is planned to start upon the completion of the first part (the placebo-controlled trial) to evaluate Nilotinib’s long-term effects. The Georgetown study is recruit 75 subjects and will be completed in July 2020. The investigators are looking for participants aged 40-90 years, with a Hoehn and Yahr staging of 2.5 – 3 (a relatively advanced level of Parkinson’s), and medically stable on 800mg Levodopa daily (for at least 4 weeks). If you are interested in finding out more about this new study, you can sign up here to receive more information as it becomes available. And in addition to the Georgetown study, there is a second phase II clinical trial for Nilotinib in Parkinson’s. According to the press release, the trial (named ‘NILO-PD’ – Click here for the Clinicaltrials.gov details of trial NCT03205488) is being coordinated by Professor Tanya Simuni, at Northwestern University. The study will be carried out at 25 different clinical sites across the USA through the Parkinson Study Group, which is the largest not-for-profit network of Parkinson’s centres in North America. The first cohort (group) of 75 people with moderate to advanced Parkinson’s have been randomly assigned to receive either a daily dose of 150 mg of Nilotinib, 300 mg of Nilotinib or placebo. The treatment will be given everyday for six months, during which the participants will be closely monitored. Following the treatment phase there will be an 8 week follow up period (during which all treatments are stopped), in order to determine Nilotinib’s safety and tolerability. Trial participants will be tested on their motor and cognitive abilities, and they will give sampled (i.e., blood and spinal fluid) for biological testing. All of these tests will provide the investigators with data with which to evaluate the potential impact of Nilotinib on Parkinson’s symptoms and the disease progression. If the drug is shown to be safe in this first cohort, a second trial is planned to be immediate initiated which would test Nilotinib in a second cohort of 60 people with early Parkinson’s. These subjects would be given the highest tolerated daily dose of Niltotinib (based on the results of the first study) or a placebo for 12 months. The same measurements (eg. biological samples) would be applied to this study as well. The Michael J. Fox Foundation for Parkinson’s Research has collaborated with the Van Andel Research Institute (Grand Rapids, Michigan), and The Cure Parkinson’s Trust (London, UK), on this second phase II clinical trial for Nilotinib in Parkinson’s . Partial funding for the trial has been generously provided through an anonymous leadership gift from a family living with Parkinson’s, as well as contributions from the Demoucelle Parkinson Charity (Belgium) and The Parkinson Alliance (Kingston, New Jersey). The results of the trial will be known in October 2020. Ok, but what was the new research published this week? Title: The c-Abl inhibitor, Radotinib HCl is neuroprotective in a preclinical Parkinson’s disease mouse model. Authors: Lee S, Kim S, Park YJ, Yun SP, Kwon SH, Kim D, Kim DY, Shin JS, Cho DJ, Lee GY, Ju HS, Yun HJ, Park JH, Kim WR, Jung EA, Lee S, Ko HS. In this study, the researchers (who recently published data on a novel GLP-1 agonist for Parkinson’s – Click here to see a previous post on that topic) wanted to test a new BRC-ABL inhibitor called Radotinib. Developed by South Korean firm Ilyang Pharmaceutical, Radotinib is currently in phase III testing for chronic myeloid leukemia (Click here to learn more about that trial). Thus, we already have a lot of information about use of this drug in humans, which could make the clinical testing of it quicker in the case of Parkinson’s. The researchers began by testing Radotinib in cell culture, to assess its ability to inhibit ABL activity. To do this, they used an alpha synuclein preformed fibril model. What are alpha synuclein preformed fibrils? As regular readers will be aware alpha synuclein is considered to be one of the main trouble makers in Parkinson’s. It may sound like a distant galaxy, but it is an extremely abundant protein in our brains – making up about 1% of all the proteins floating around in each neuron. By itself, alpha synuclein is considered a monomer, or a single molecule that can bind to other molecules. When it does bind to other alpha synuclein proteins, they form an oligomer (a collection of a certain number of monomers in a specific structure). In Parkinson’s, alpha synuclein also binds (or aggregates) to form what are called ‘fibrils’. 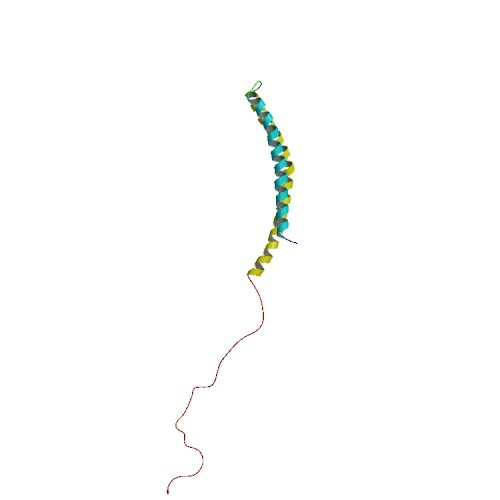 The oligomers and fibril aggregates of alpha synuclein are believed to be the toxic forms of the protein that cause problems in Parkinson’s. In this new study, the researchers found that exposing cells in culture to preformed fibrils of alpha synuclein increased levels of ABL activity, and they reported that this could be corrected by treating those cells with Radotinib. The researchers also found that Radotinib reduces the levels of alpha synuclein aggregation-like pathology and limited the amount of cell loss associated with exposure to preformed fibrils of alpha synuclein. It has been demonstrated that exposing cells in culture to alpha synuclein preformed fibrils can result in dysfunction within the mitochondria (Click here to read more about this). 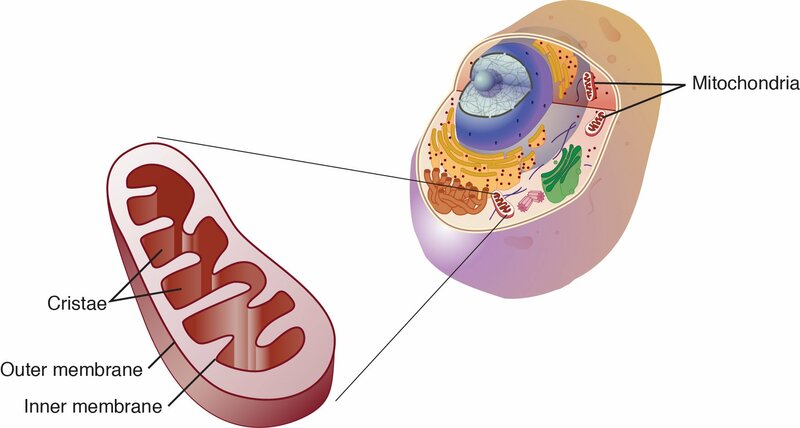 Mitochondria are the power stations of each cell. They help to keep the lights on. Without them, the party is over and the cell dies. They are tiny bean shaped objects that reside inside of almost every cell in your body. When the investigators treated cells in culture (that had been exposed to alpha synuclein preformed fibrils) with Rabotinib, they found that their drug could correct much of the mitochondrial dysfunction. This new drug is sounding pretty impressive, huh? Next the researchers wanted to test their drug in an animal model of Parkinson’s. They injected preformed fibrils of alpha synuclein into the mice, they started to observed alpha synuclein protein aggregation in the brain approximately one month later, and the mice started to exhibit motor problems 3-6 months later. The investigators divided the mice into 5 groups and began treating them with one of three different doses of Radotinib, or Nilotinib (as a positive control), or a placebo control solution. They started the treatment one month after they injected the mice with preformed fibrils of alpha synuclein, and they treated the mice every day for 5 months. They found that Radotinib treatment reduced the levels of alpha synuclein aggregates (or inclusions) in the dopamine neurons (SNpc cells in the image below) at levels that were comparable to Nilotinib. Radotinib also reduced (almost completely) levels of inflammation in the brain and corrected behavioural/motor problems associated with this model of Parkinson’s. 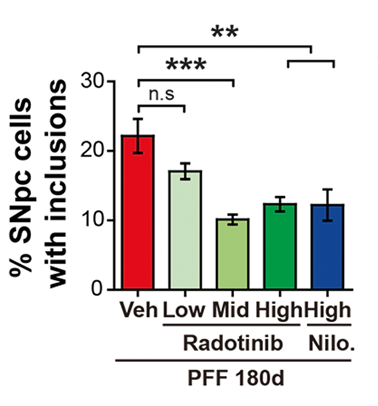 The really interesting result in the study, however, was that Radotinib is detected in the brain at 3.3 times higher levels than Nilotinib after a single administration, suggesting that Radotinib is better at crossing the blood brain barrier – the protective membrane surrounding the brain – than Nilotinib. This is a critical feature of any drug being proposed for neurological conditions, and may mean that lower doses of Radotinib can be used (limiting the possibility of side effects of this drug). The researchers concluded by suggesting that “the next step will be to conduct clinical trial to assess Radotinib efficacy” in people with Parkinson’s and related α-synucleinopathies (such as Multiple Systems Atrophy). And before you ask: we have had no indication from Ilyang Pharmaceutical yet as to when clinical trials of Radotinib in Parkinson’s will begin, but (based on these results) I would be surprised if they will wait very long before making an announcement. Our efforts to slow/halt the progression of Parkinson’s are attempting to attack the condition on many different fronts, and (as in the case of the cAbl-inhibitors and GLP-1 agonists – see previous post) we now have multiple weapons potentially available on some of those battle lines. Ironically in another recent post I commented about the crazy pace of the research at the moment (Click here for that post), and this post is a perfect example of that manic speed. 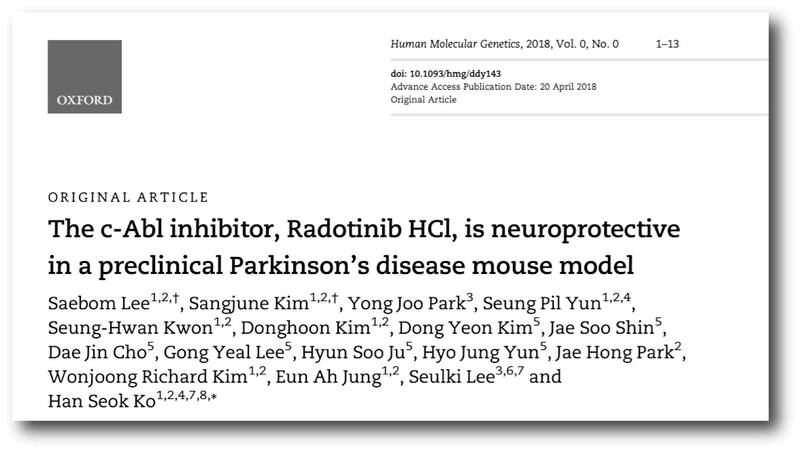 Just days after publishing fascinating results dealing with a novel GLP-1 agonist in models of Parkinson’s, that same research group – led by Prof Han Seok Ko of Johns Hopkins University Medical school – published the research report that was reviewed in this post dealing with a completely different type of drug that exhibits interesting properties in models of Parkinson’s. A lot of excitement is associated with the efforts to re-purpose the cancer drug Nilotinib for Parkinson’s, and today’s post reinforces the idea that other pharmaceutical companies are also focusing on shifting similar ABL inhibitor drugs to neurodegenerative conditions. It will be interesting to see how quickly Ilyang Pharmaceutical initiates clinical testing of Radotinib for Parkinson’s. In addition, Ilyang Pharmaceutical is a publicly traded company. That said, the material presented on this page should under no circumstances be considered financial advice. Any actions taken by the reader based on reading this material is the sole responsibility of the reader. Ilyang Pharmaceutical has not requested that this material be produced, nor has the author had any contact with the company or associated parties. This post has been produced for educational purposes only. Wish I could go in science fiction style hyper sleep for 2-3 years and come out of it with some options. Simon, what can we say that has not been said before? Words like excellent, superb, superlative etc. have become mere clichés when your work is assessed. As much as I dislike the word ‘awesome’ as the most common example of cliché, in it’s true, full-on heavyweight use of the word I feel comfortable saying this blog entry (as always) is truly awesome!! Simon, the Lindholm et al. (2016) review you refer to includes a table (based on data from Heffron, 2016) summarizing the properties of various c-Abl inhibitors, and which seems to contradict the new Lee et al report regarding the relative BBB permeability and phamacokintics (IC50) of Radotinib compared to Nilotinib. I don’t have access to the Heffron paper, so was wondering if you might wish to clarify/comment? What do you think about using bosutinib for synucleopathy treatment? Thanks for the info & the interesting question. The key issue with the ABL inhibitors (and any drug for PD) is their ability to cross the blood brain barrier. Some are better than others. Bosutinib appears to be as good as Nilotinib at crossing the BBB (https://www.ncbi.nlm.nih.gov/pmc/articles/PMC5080529/), but it seems to require a slightly higher dose. There are many ABL inhibitors now being proposed for trialing in PD. As to which is the best, only time and trialling will determine that. And we need to see if Nilotinib really works in the ongoing double blind clinical trials before we get too excited. Thanks a lot, i just discovered your blog, and am suitably impressed. Not sure about the ‘crazy pace of research’, as someone with Parkinson’s disease eating away at my life, it all seems glacially slow and conservative, with hope in drugs like nitolinib being dangled in front of me, but no chance of accessing it for maybe years. There is a fantastic movie about how AIDS activists addressed this in Paris in the 1990s https://www.youtube.com/watch?v=2fhO2A4SL24. Perhaps people with Parkinsons need to take an extra madopar storm a few pharmaceutical companies and agitate for acceleration of research like these young people did!